A BSN, or Bachelor of Science in Nursing, is a four-year college degree leading not only to the certification of a registered nurse but also to higher level BSN degree careers. A BSN opens more doors to nurses such as research, administrative and other leadership positions than are available with a lower level associates degree. BSN degrees are comprised of a typical nursing curriculum with classes such as pharmacology, community health nursing, medical/surgical nursing and maternal nursing, as well as general education classes in subjects like chemistry, mathematics, biology, history and geography. BSN degrees are available to students with no nursing experience and are typically completed on campus for four years full-time, while licensed practical nurses (LPN) or registered nurses with a hospital certificate or associate’s degree in nursing can work towards an RN to BSN degree online for typically two years full-time. BSN-granting programs such as the ones offered at Penn State University in Pennsylvania or Loyola University Chicago each offer an excellent nursing curriculum with extensive clinical experiences for nurses at any level of education. A career in nursing involves job flexibility, growth and continuous learning. There are many specialties that nurses can work in, from pediatrics to surgery. Nurses that work directly with patients in hospitals or outpatient clinics typically earn $64,690 per year, according to the U.S. Bureau of Labor Statistics in 2012. But nurses don’t have to solely work in a hospital; there are many other BSN degree careers a nurse can choose to pursue. For example, a nurse educator is a popular BSN degree career choice, typically held by a nurse who enjoys teaches nursing students in the classroom and in clinical rotations. According to the U.S. Bureau of Labor and Statistics, nurse educators earned $68,640 per year as of May 2012. Another popular BSN job is a pharmaceutical sales representative, where a nurse travels to hospitals and clinics around the country to promote health care products, such as medications. CNN Money stated that in 2009, pharmaceutical sales reps earned $105,000 per year. A BSN-prepared nurse can also work as a traveling nurse, taking on patient care cases in different states for different periods of time. According to Indeed.com in 2013, traveling nurses can make $75,000 per year. Nurses with a Bachelor’s Degree can also work from home for law firms or insurance companies, where they review medical charts and perform physicals. 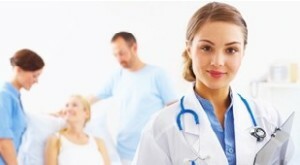 These types of nurses can earn a salary of $80,000 per year, according to Findlnc.com in 2012. Regardless of which direction you choose to take your BSN degree career, there are plenty of options to choose from that will meet your qualifications and expectations of a nursing career.